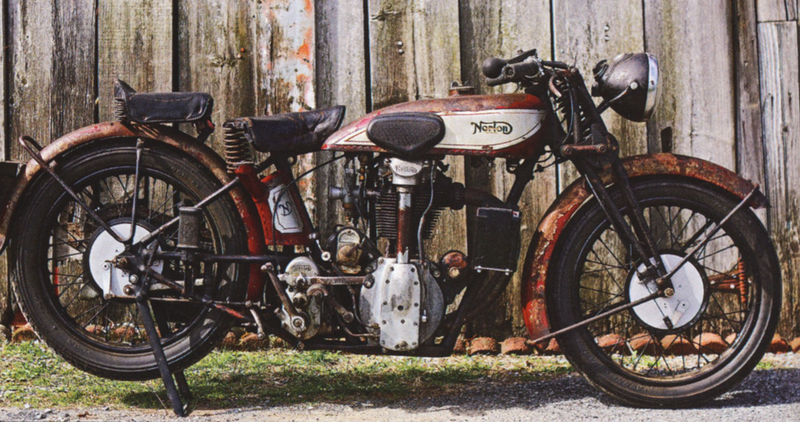 Vintage Norton Motorcycles: Renovated ? 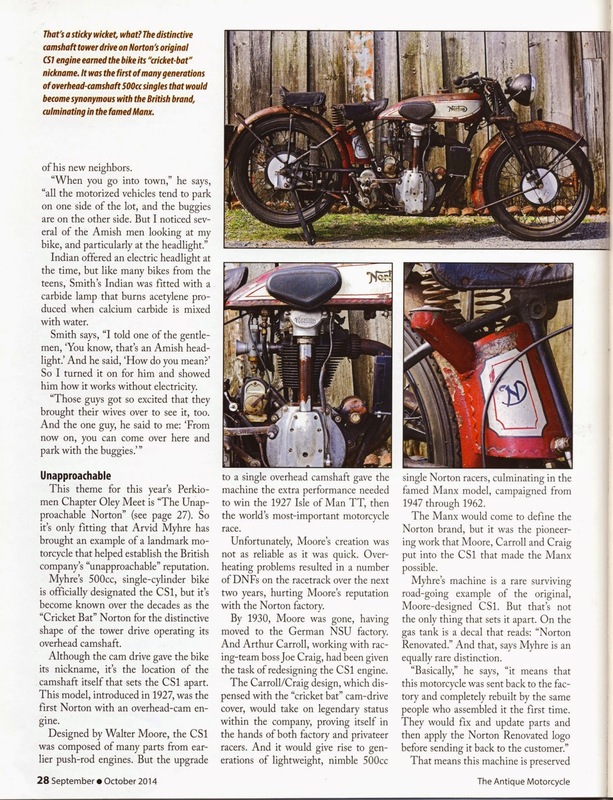 -JdK- Above a photo copied from an article in the September/October issue of "The Antique Motorcycle" (reproduced below). Headlamp and gearbox come from a later model and CS1s did not usually come in red but it certainly is a very nice bike in this condition. 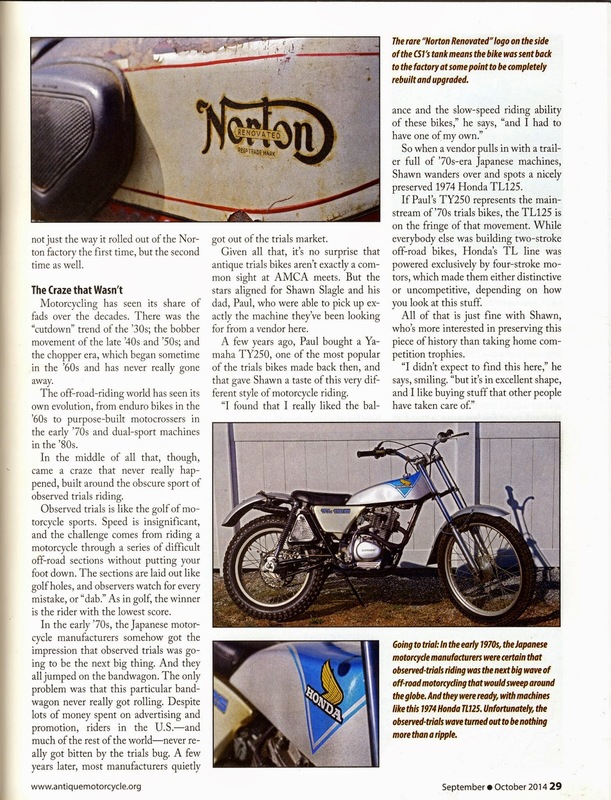 The author discusses the tank decal that reads "Renovated" and suggests that this CS1 was returned to the factory at some stage for a complete rebuild "they would fix and update parts and then add the Norton Renovated logo". 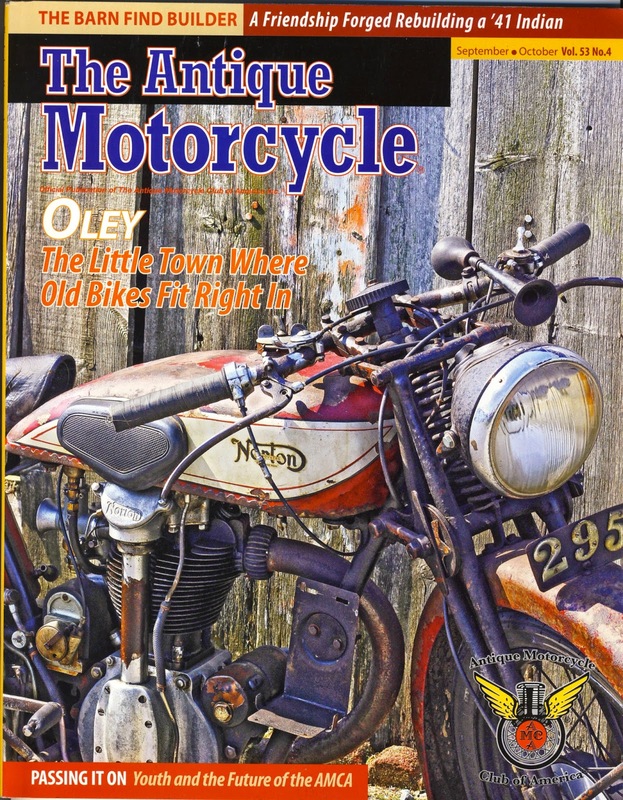 Racing machines were sometimes returned for updating and we have several instances of that (like this one) but we know nothing about this service as applied to regular machines; and we have seen a decal like this only once before on a freshly painted tank. 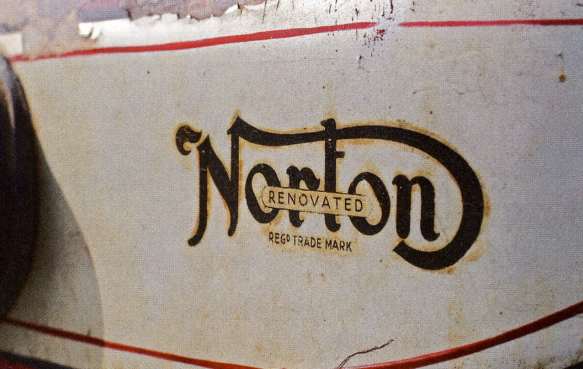 We would like to hear from anyone who knows more about this or has an image of this decal in an old/period photograph.